Things can change in an instant. Accidents happen all the time, forever altering the course of one’s future without much warning. Where most of us come from, an accident may warrant a trip to the emergency room or doctor’s office, where there are lots of professionals with the ability to help. But if you find yourself living in the slum community of Masese, there are not many places to turn for help. It was just a normal, sunny day when Emma went out to play with his friends. When they found themselves at a tree full of ripe mangoes, they eagerly threw rocks up into the branches in hopes that they would be able to knock some of the delicious fruit to the ground. In all the excitement, a large stone came down hard on Emma’s head. Emma’s worried friends quickly brought him home to his mother, who took him to the nearest clinic for help. Unable to really know what was going on due to a lack of equipment and supplies, the clinic sent Emma home to rest. No one could see the bleeding that was beginning in Emma’s brain that would slowly impair his speech, his thinking and his ability to move. Emma’s mother Rose became increasingly worried as she began to see the great difference in Emma over the days that followed, but she didn’t know where to turn for help. The doctors in her community were unable to offer her a solution. 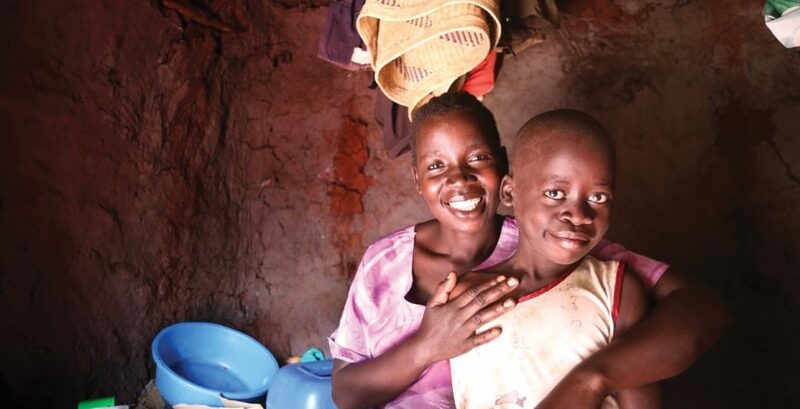 A neighbor led Christine, our lead Masese social worker, to the family’s home. Aware that this injury was time-sensitive, Christine was able to quickly help Rose and Emma navigate the complicated medical system so that they could see one of the best doctors in Jinja, who ultimately referred them to Kampala for surgery. The doctors in Kampala were able to contain and finally stop the bleeding that was pressing on parts of Emma’s brain. An Amazima social worker and our nurse stayed in communication with Rose and Emma’s doctors throughout the process. After a few days of rest and recovery, Emma was miraculously himself again—smiling, talking and walking. His once terribly worried mother could not contain her tears of joy and excitement. The next week as Katie and Christine pulled into Masese, Rose ran down the hill practically dragging an equally-excited Emma behind her. She wept as she embraced both of them, thanking them profusely and praising God for her son’s life. As Christine and Katie looked at Emma, it was clear that not only had the surgeons performed incredibly, but God had truly done a miracle in sparing Emma’s life and restoring him to normal functioning. Amazima is so thankful to have the privilege of walking beside families and community members through emergencies and times of need, and we are even more thankful to serve a God who sees the people of Masese, loves them and works mightily on their behalf. What could be greater than to be used in His awesome, restorative plan?